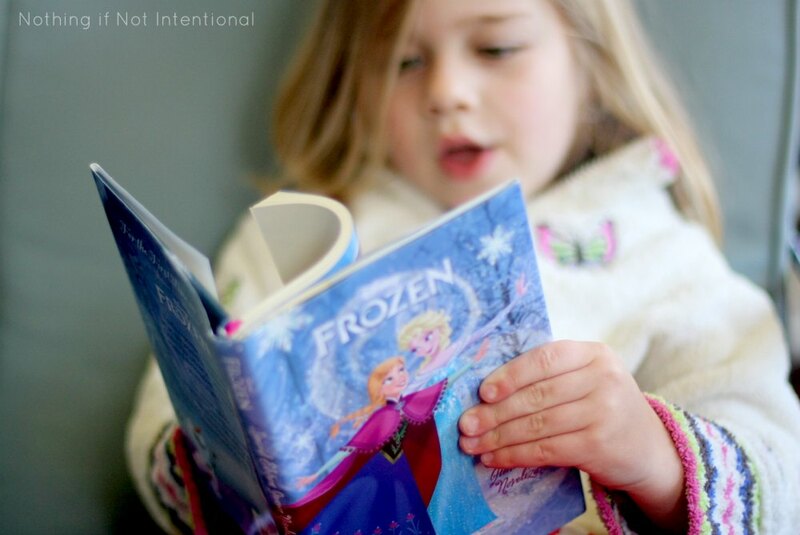 What do unicorns, Santa Claus, Bigfoot, and preschoolers who haven’t gone through a Frozen phase have in common? Just one thing–THEY DON’T EXIST. Even my two-year-old (who doesn’t get screen time) can tell you all about Anna and Elsa thanks to books, stickers, playdoh, and the Frozen internet radio station. She even proudly modeled an Elsa outfit on the “Runway at Sea” portion of our recent cruise to the Panama Canal. And it’s not just girls! Boys love Frozen too! 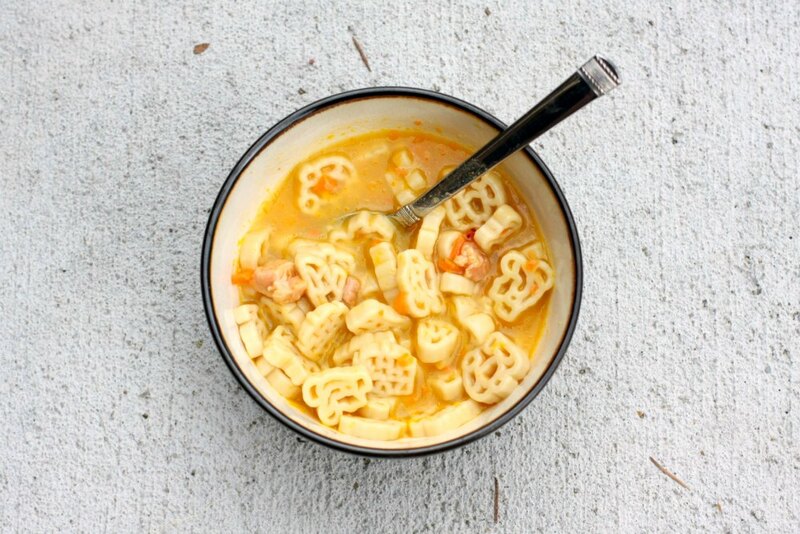 What’s a #SouperPower family moment? Allow me to explain! A few weeks ago, we were stuck in the car when my girls ran out of patience. They wanted to be home. They wanted to be outside. They wanted to be playing. They wanted to be anywhere but strapped into their car seats. In a desperate attempt to delay the inevitable meltdown and the loud (so very loud) cries of “Mama, MAMA, MA-MAAAAAAAAAAAA! I WANT OUT!,” I started asking simple “would you rather” questions. As it turns out, this game is great for waiting–whether it be waiting for dinner or a waiting for the end of a torturous car ride. And what mama couldn’t use a few more tricks up her sleeve to help her kids wait? I bet once I get you started you’ll come up with plenty of great questions of your own. Even better, ask your kids to come up with questions. Some of my favorites (“Would you rather poke your eye or fly on a cloud?”) came from my two-year-old. We’ve printed off a set of these cards and put them at our dinner table. You’re welcome to do the same! 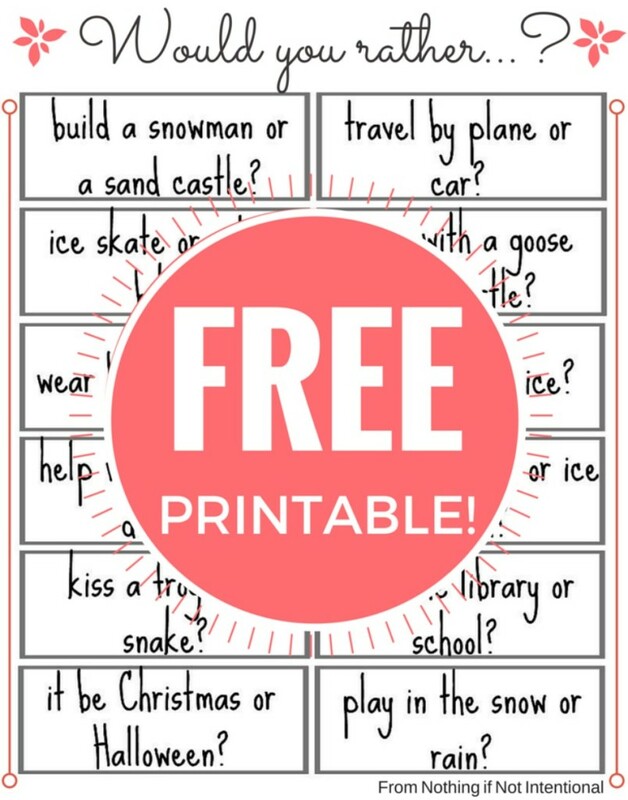 The printables are free. If you’re lucky, you may end up with a few giggles or learn something new about your kids. 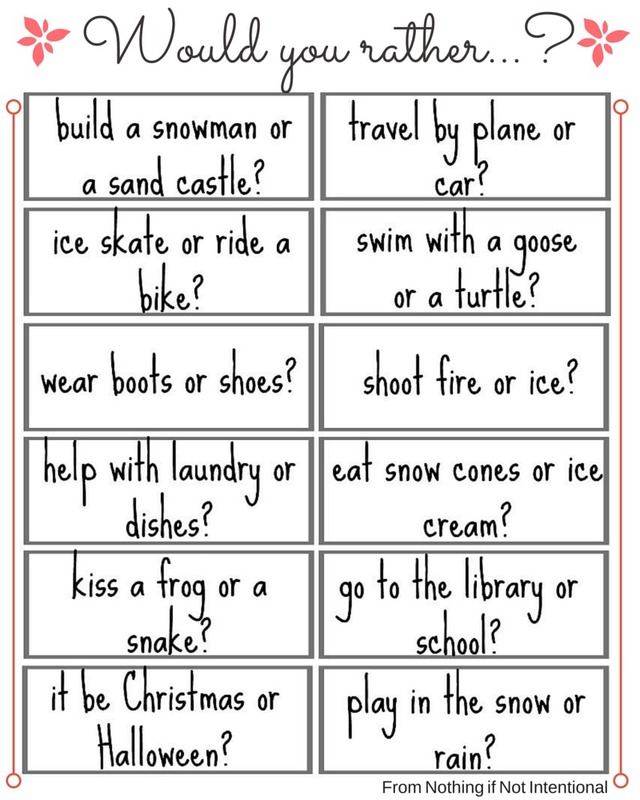 You may notice a subtle Frozen theme to some of these questions. Why not capitalize on that interest? I see it as an opportunity to learn more about what matters to our kiddos! 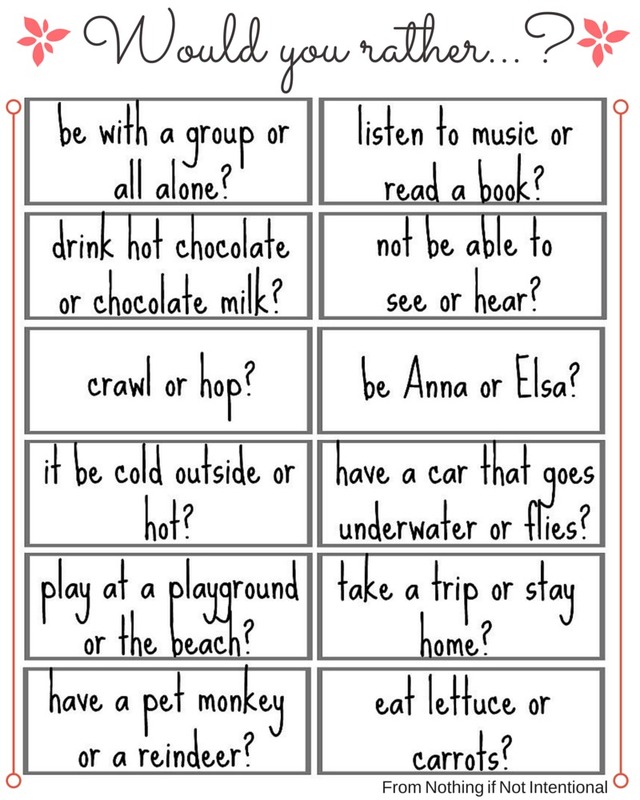 Click the links to see and print PAGE 1 and PAGE 2 of fun WOULD YOU RATHER questions! 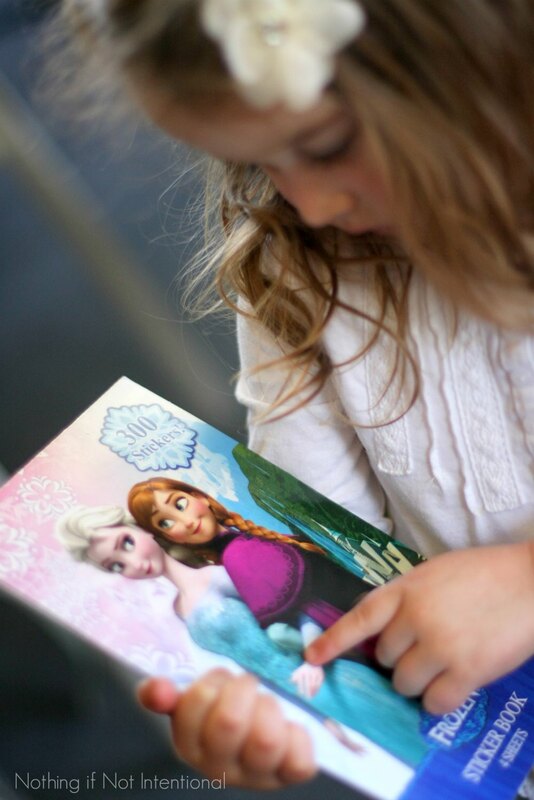 To print on a regular piece of paper, download as a jpeg (image) and then print as a full page photo. Along with the questions, we were happy to taste test Campbell’s® Condensed Soup. This mama can use all the easy meal ideas she can get. We were excited (and surprised) to see that the Frozen theme is carried on INSIDE the can as well. Anna and Elsa are pretty great at motivating kids to eat their dinners. 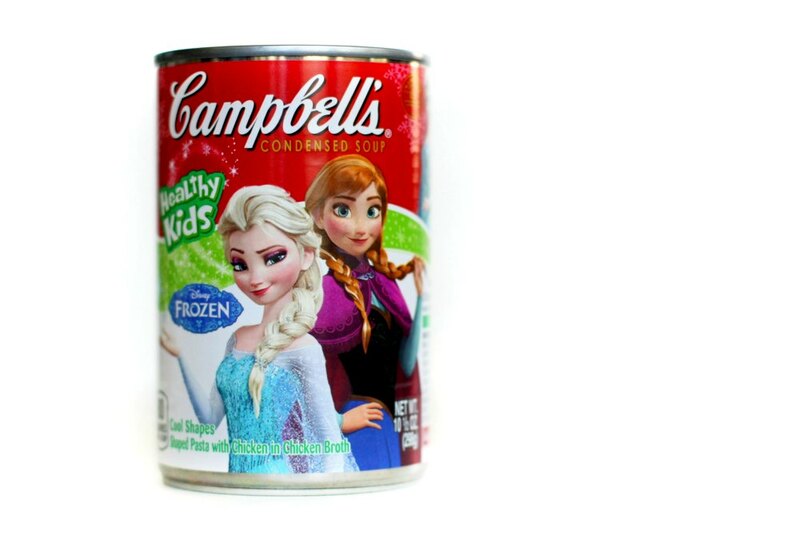 You can find the new Frozen-inspired Campbell’s® Condensed Soup at grocery stores nationwide for just $1.79 per 10.5 oz can.